FREHA BAT AVRAHAM, 18th century Hebrew writer and scholar, was a member of the prominent Moroccan Bar Adiba family. Freha moved to Tunis with her father and brother to escape anti-Jewish persecutions in Morocco, probably sometime in the 1730s. This liturgical poem was written by Freha, her name, and her father's name, appear in the acrostic. In the poem she recounts the burden of exile and the hope for the ingathering of the exiles and for redemption. 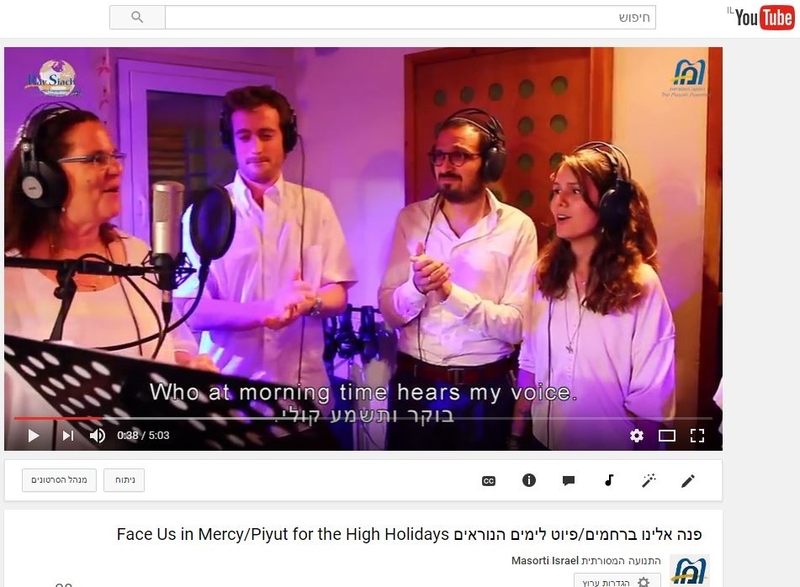 Cantor Saralee Shrell-Fox, a member of Maayanot, a Masorti congregation in Jerusalem and her son Maayan, composed this beautiful melody for Freha Bat Avraham's poem.